Episode Notes: Happy Cinco De Mayo everyone. 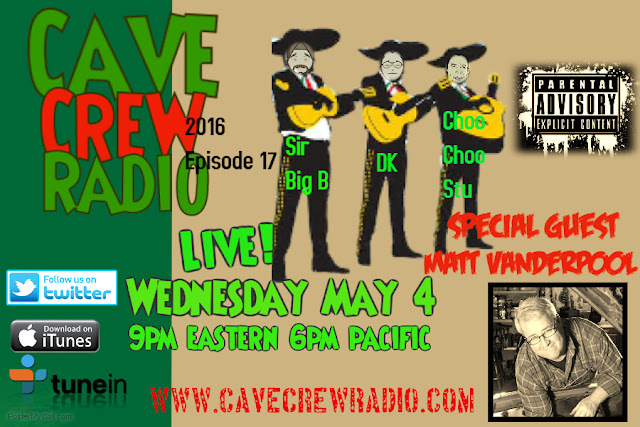 We are back in the cave for this weeks installment. Joining DK and our junior intern Choo Choo Stu is non other than Matt Vanderpool the man of 1000 voices. So Syrian refugees are not happy with the food choices at food banks in Canada. Choo Choo has a new toy, we share some fart stories after a new report says sniffing them is good for you, a Pakistani prime minister is for sale on E bay, and we are sampling random Harry Potter jelly beans. We call Salami Kar Pai Pai to investigate why cow urine is being packaged and shipped across the globe. 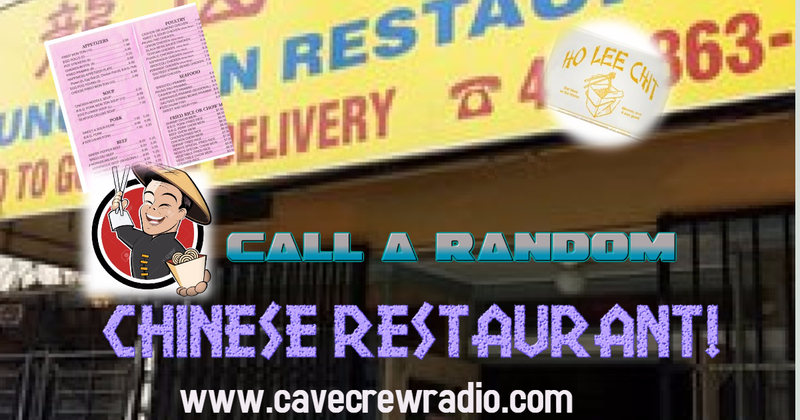 Then in the fallout of call a random Swede, the boys invent a new segment called, call a random Chinese restaurant. Go ahead order the #78. 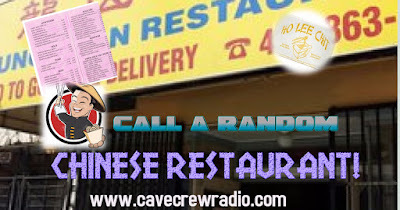 Cave Crew Radio broadcasts live every Wednesday night at 9pm eastern on www.cavecrewradio.com and is in syndication with 102.7 WSNR in Brooklyn and the Wicked Radio network. We are proudly sponsored by Unworked Apparel. Until next time, stay weird, and drink beer.